The Goal of my Portfolio is to display my work and provide samples of my work in Graphic Design, Web Design, photography, typography, and a bit of product design. I utilized technology including Adobe Photoshop, Adobe Illustrator, Adobe InDesign, HTML5/CSS3, and WordPress CMS to produce this work. The last several years I have been making oversize portfolios. They make a big impact, but they’re also problematic to mail, to hold, to carry in a briefcase, et cetera. This year I made a more practical 8 1/2 x 11 document. It’s less flashy, but it fits in my hand better, and it’s easier to mail this time. I like to print on heavy paper, and bind with a GBC CombBind. Here are two different files. Each of them displays the same images, but at different resolutions. The first is a low resolution version for anyone who’s in a rush or anyone using a mobile device with limited data and a small screen. The second is a larger file for anyone who demands the highest quality or anyone who needs to print this document. Having trouble opening .pdf files? Sam’s portfolio 2017 – The small, fast version for the web. 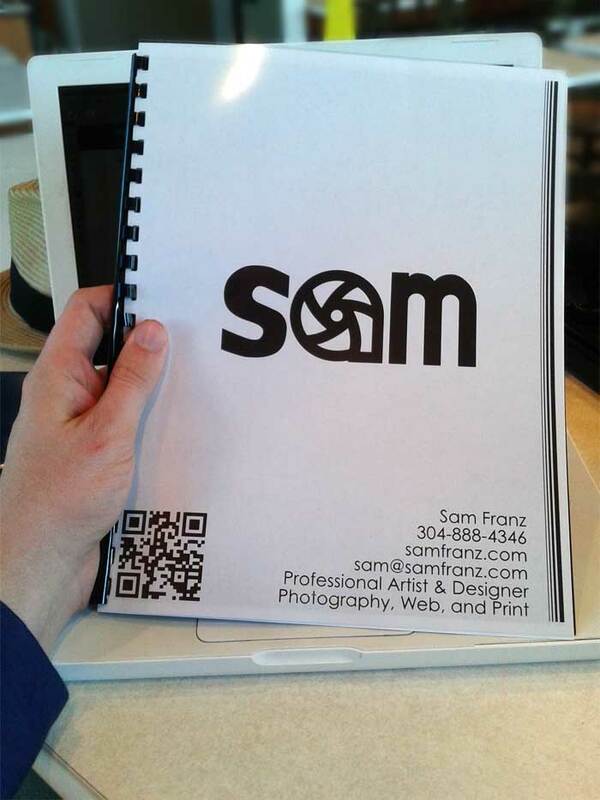 Sam’s portfolio 2017 – The big, high res version for printing. You can find further examples of my work throughout my website. Here are a few links to get you started based on the skill set that you need.